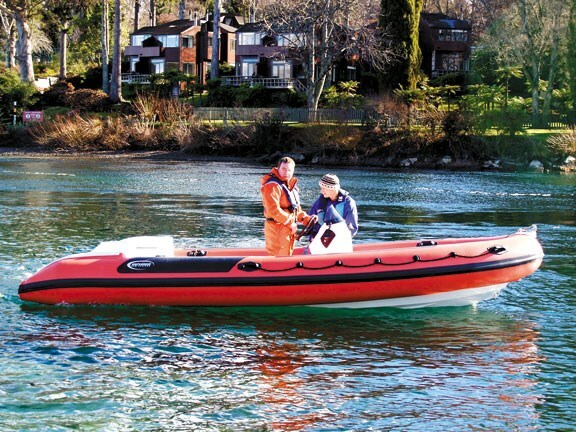 Taupo Volunteer Coastguard’s new 5.5m Explorer RIB has been at its lakeside base for less than a week but has already impressed skipper Brendan Church. "The lake can develop steep and gnarly waves very quickly and that’s what makes most people come unstuck. But the Explorer just roars over them. She’s very dry and amazingly maneuverable." Even though the boat sports a generous 2.4m beam, most of it is in the pontoons – the aluminium hull is relatively narrow, from chine to chine. A series of high lift strakes running either side underneath generate extra lift. Deadrise is 20 degrees at the transom. Towards the aft end of the underwater profile is a distinctive flat, vee-shaped keel section with the apex facing forward. It houses the water intake for the jet unit, which is mounted just above it. 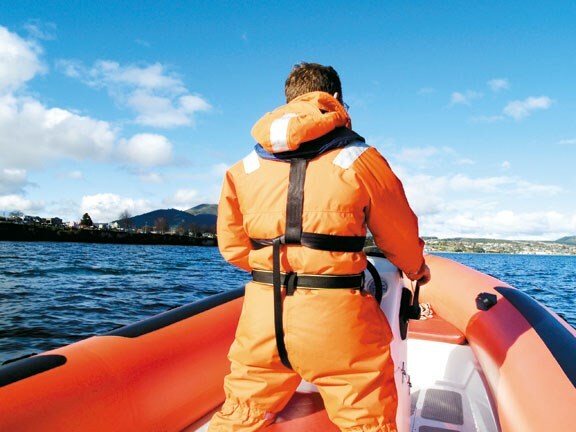 The keel section also helps with the Explorer’s straight line tracking ability and provides lateral grip in the water for extra tenacity in tight turns and manoeuvring. 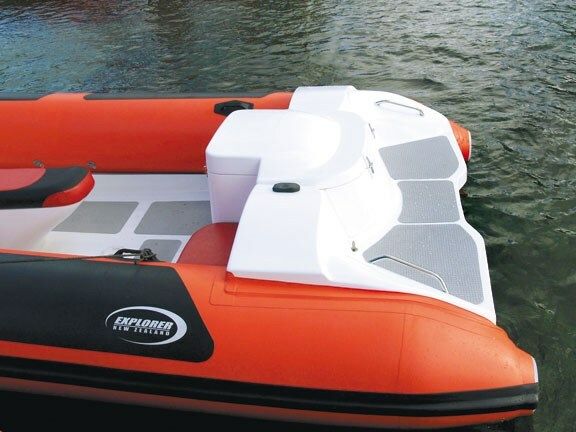 The hull is built from 4mm high-grade marine alloy finished with white paint and has a transverse bulkhead under the bow seat and again under the console seat. A Mercury Optimax Jet Drive develops 200hp (149kW) at 5650rpm, and a 100-litre aluminium fuel tank is fitted under the cockpit floor. 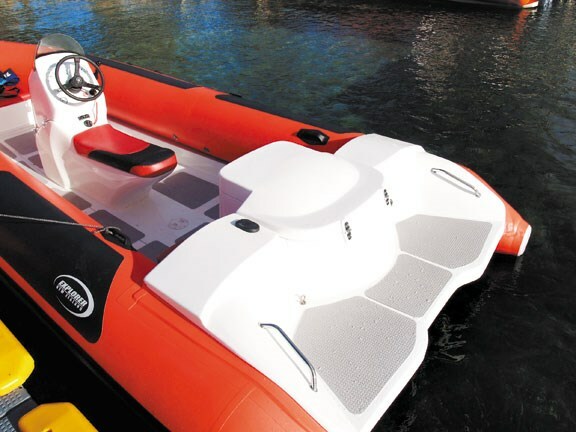 The engine spins a 184mm diameter four-blade stainless steel impeller with progressive pitch. Draught is about 30cm. 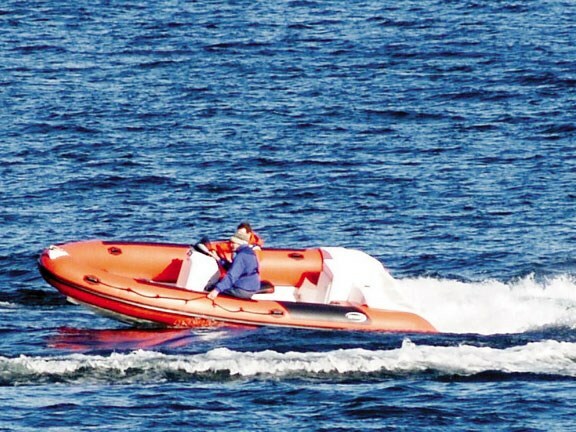 The 166kg Optimax power unit and pump help keep the boat under the 700kg maximum payload of the local rescue helicopter used to airlift the boat to nether regions of the lake in emergencies. 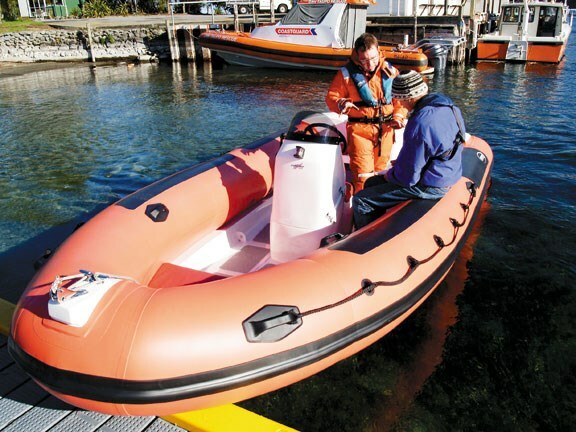 During the test, the Explorer achieved an easy riding 34.8 knots at 5000rpm, which should enable the Coastguard crews to cover the 22nm from Taupo to Turangi, at the south end of the lake, in about 40 minutes, or cross the lake in about 20 minutes. For a mere 5.5m length overall, she had the assurance of a much bigger boat, was controlled easily and flicked readily from side to side. The Forward-Neutral-Reverse Smart Craft Morse control had an annoyingly long throw before things started happening, but I’m sure this is just a matter of fine tuning – or the lag may have been caused by the Optimax’s Engine Guardian system. This computer-controlled system automatically sets the oil:fuel mixture during the running in process and with only 3.4 hours on the clock from new, the engine would have been running on an oil-rich blend. The Engine Guardian also warns operators if the engine is over-revving, over-heating, has a low oil level, a low battery state, an oil pump failure, low water pressure or has a sensor failure. Heading into a near vertical 30cm chop at speed, the Explorer stayed completely dry. 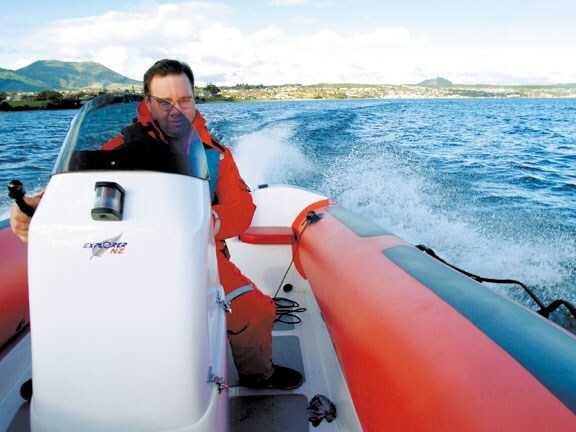 The stylish 8mm tinted acrylic windscreen fired the chill mountain slipstream well over the helmsman’s head. The console seat is generously padded and the slight camber on the seat and the well positioned wheel felt quite comfortable and sustainable over a long period. The height was good for relaxed leg posture too. 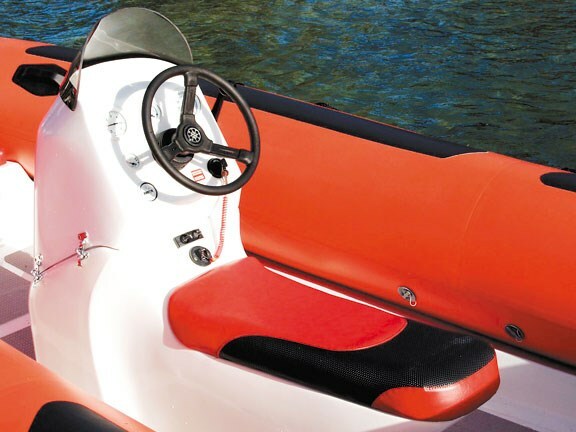 Non-skid cockpit sole material makes moving around easy and the high pontoons add to the sense of security. 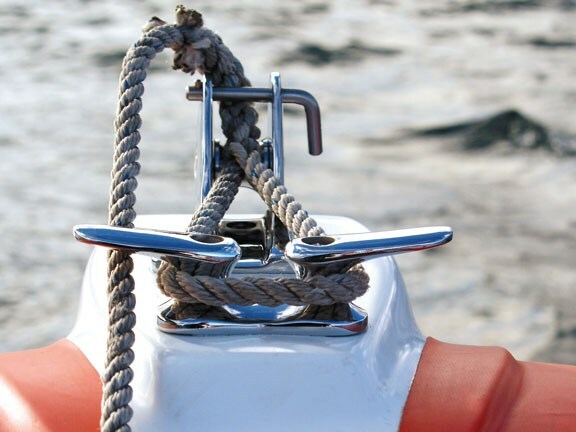 Handholds are supplied fore and aft on the inside and outside of the pontoons. 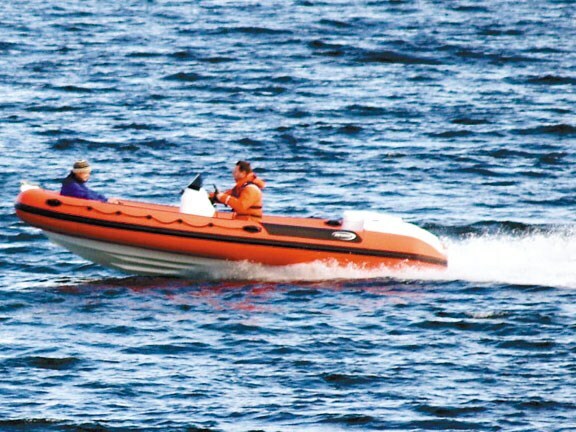 Even at speed, the Explorer is quiet and fuss free except for a little unobtrusive water slap against the chines and hull strakes. 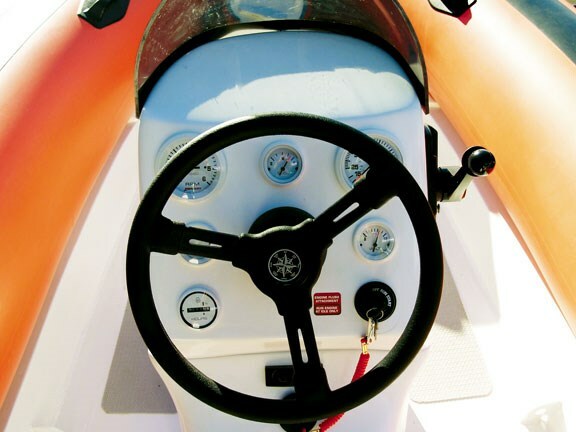 The starboard seat lifts to access a hose connection for running water through the pump during onshore warm ups. The cover is easily removable for access to both the Mercury pump and powerhead. Dual water-filled mufflers with non-return flaps are part of the unit too and help keep the Optimax’s V6 roar at a level that won’t deafen the Coastguard crews – an important consideration for people spending long hours out searching on the lake. Two 100mm scuppers are moulded in to each side of the cockpit aft, with flaps on the outboard end to keep water out during high speed reversing manoeuvres. Water-tight hatches allow access to the fuel gauge transponder, and a Rule electric pump has been fitted. The front section of the console is hinged on the starboard side with two compression catches to port, so that it can be opened for easy access to the battery. To read in-depth boat reviews, see the latest issue of Trade A Boat magazine, on sale now.